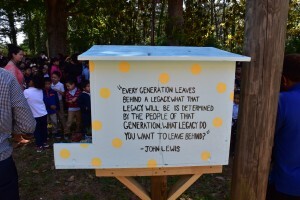 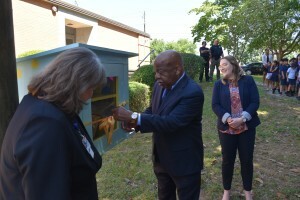 John Lewis dedicates free outdoor library at namesake school. Congressman John Lewis visited his namesake school, John Lewis Elementary School, on May 15, 2017, to cut the ribbon on a new, free outdoor library where students can exchange books throughout the year. Lewis was surrounded by nearly every student and teacher at the school during a joyous ceremony outside, a continuation of festivities that began shortly after lunch on the campus. 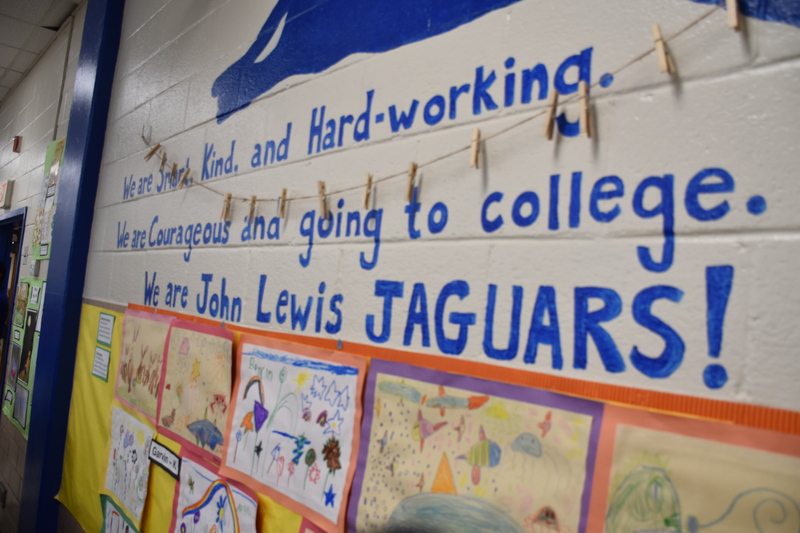 The students read the school motto before Lewis, a civil rights icon, regaled them with stories of his upbringing in Montgomery, Alabama.